Selling your textbooks can be a lucrative way to make cash, and as college students, extra cash is always needed. Here are our tips to getting the most money possible for your used textbooks. Keep the pages clean! Avoid highlighting and underlining in your textbooks. It stands out to book buyers, and gives a clear indication that the text has been used. Additionally, you can print out scanned copies of your textbook’s practice tests. Rather than writing in the book, you can mark up the printed pages as much as you want, and it also feels more like taking a real test. Don’t fold down the corners of your pages. Instead, use sticky notes or flags to mark specific paragraphs. Not only will this keep your book in better condition, it makes finding your marked pages even easier. If your text came with a CD or DVD, make sure you keep it with the book. Buyers often won’t purchase books if they’re missing one of the pieces. Check out the Cash4Books Used Book Condition Policy for more information. Input the ISBNs of your textbooks on the Cash4Books homepage and find out how much they’re worth. You can also download the Cash4Book mobile app to check book prices on the go. Whether you have an iPhone or an Android, you can scan your books in for an instant quote. Check the school bookstore for prices, but keep in mind that they often can’t give you more than a few dollars for your books. Sell your textbooks when you’re done using them, but don’t wait too long! Research shows that best time to sell your books is early- to mid-January. When students are buying, that’s the ideal time to be selling. When you try selling books to the school bookstore, they often only purchase texts at the end of the semester. Alternately, with Cash4Books and other online sites, you can sell your texts year round! Now you have the keys to success for textbooks selling. It’s time to get out, sell your books, and get what you really want in 2016. 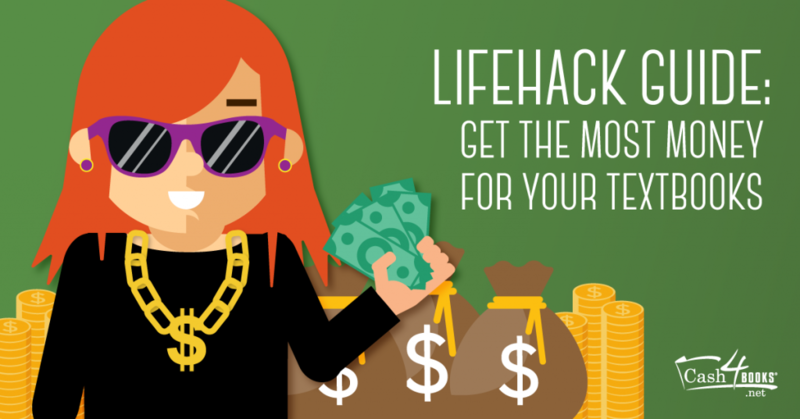 This entry was posted in Making Extra Money and tagged Cash4Books News & Updates, lifehack, make money, sell books, thrifty on January 13, 2016 by Jim McKenzie Smith.